Thank you all for making this an awesome event! 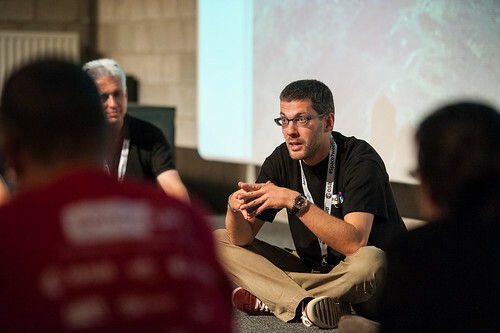 The idea of SpaceUp Europe came to life after the first European SpaceTweetup in Cologne, but only started truly developing in January. After nine months of hard work we finally did it! But it could not have been such an awesome event without you, the participants! 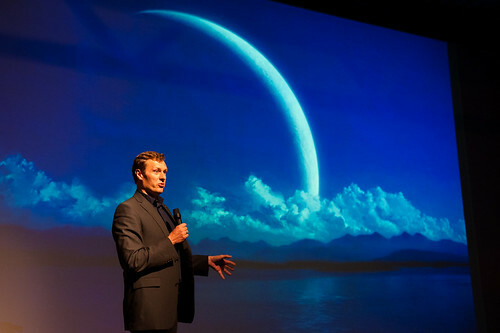 The event started with a surprise video appearance of Bill Nye, the Science Guy, currently head of the Planetary Society. After the opening ceremony and introductions, Markus Landgraf (ESA) reminded us about Neil Armstrong, after which the event started by filling the grid for the first day. 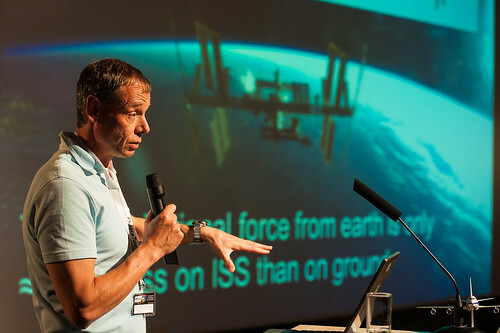 Christer Fuglesang (ESA/CERN), who talked about gravity and what it actually is. Emily Lakdawalla (Planetary Society), who answered a lot of questions about Curiosity and other planetary missions. Ron Garan (NASA), who of course talked about his FragileOasis project. 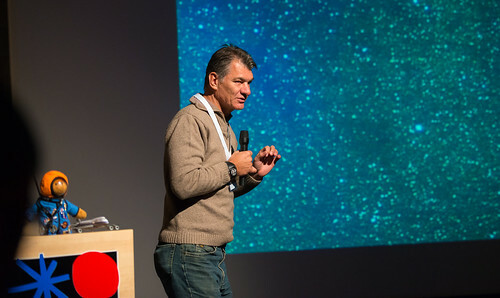 Paolo Nespoli (ESA), who was wondering what the real reason could be why we should go to space. Alexander Soucek took us all the way back to Magellan, who sailed the world without help of technical gizmos we take for granted now. Dare to explore the unknown. Markus Landgraf took us back (and forward) to the Moon. What are the secrets still unsolved. To solve them, we need to go there. 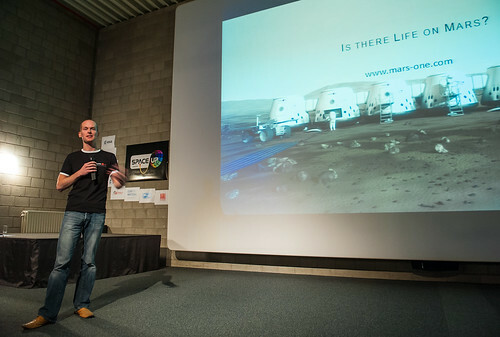 The last, but certainly not least, presentation was by Bas Lansdorp of the Mars One Project. Their rather controversial idea to fund a one-way mission to Mars by making it a real-life show certainly triggered a lot of discussion. But there were too many talks to mention here one by one. Build your own solargraph, 10 things you never knew about ISS, the astronaut metamorphosis, Poland in ESA, and lots and lots more! Most of the talks have been recorded and will be put online as soon as we get them. 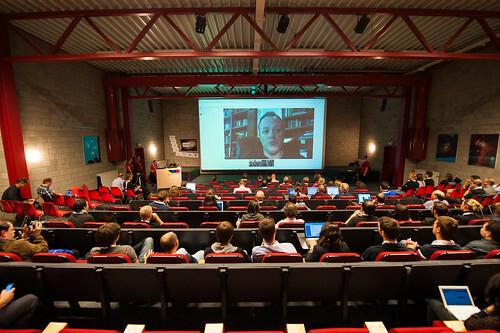 Until we have collected all the videos, you can watch some externally as well, you can find the recordings of the presentations in the Mercator room on LiveStream.com (thanks to Design & Data). 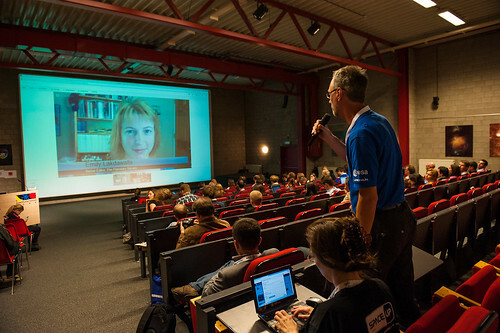 The auditorium recordings are mostly in our own Youtube channel, but you can also find them on Spacelivecast.de. We will try to put up as many videos as we can on our own YouTube channel, so everyone can watch most of the presentations online.